Pacific University, Udaipur: Top College/University in Rajasthan, India. B.D.S. 10+2 (Science + Biology) 4+1 Yrs. Diploma in Dental Mechanics & Hygienist 10+2 (Science + Biology) 2 Yrs. Ph.D. Post Graduation in Dental Science Stream Minimum 3 Yrs. M.A. (Education)* Graduation in any Stream or B.Ed 2 Yrs. M. Phil Post Graduation in Education Stream 1 Yr.
Ph.D M. Ed / M.A. (Education) Minimum 3 Yrs. D.El.Ed 12th pass with 50% Marks 2 Yrs. B.Tech. 12th (Science + Maths) 4 Yrs. B.Tech (Lateral Entry) Diploma in any stream/B.Sc in any stream 3 Yrs. M.Tech. B.Tech. or Equaivalent 2 Yrs. MBA (Dual Specialization) Graduation in Any Stream 2 Yrs. MBA Dual Specialization (with International Certificate) Graduation in Any Stream 2 Yrs. MBA (Hospital Administration) Graduation in Any Stream 2 Yrs. MBA (Hospital Administration Executive) Graduation in Any Stream 2 Yrs. MBA (Dual Specialization Executive) Graduation in Any Stream 2 Yrs. M.Phil Post Graduation in Management Stream 1 Yr.
Ph.D. Post Graduation in Management Stream Minimum 3 Yrs. Diploma in Pharmacy (D.Pharm) 10+2 (Science + Maths / Biology) 2 Yrs. Bachelor in Pharmacy (B.Pharm) 10+2 (Science + Maths / Biology) 4 Yrs. Master of Pharmacy (M.Pharm)* B.Pharm 2 Yrs. Ph.D Post Graduation in Pharmacy Stream Minimum 3 Yrs. Diploma Polytechnic* 10th Pass 3 Yrs. (iii) ITI (2 Years) Before or After 10th 2 Yrs. Diploma + B.Tech. 10th Pass 6 Yrs. BBA (In Global Business Management) 10+2 from any Stream 3 Yrs. B.B.A(Synchronized with Competitive Exams) 10+2 from any Stream 3 Yrs. B.Com. (Synchronized with Competitive Exams) 10+2 from any Stream 3 Yrs. B.Com (Hons.) (Synchronized with CA/CS Curriculum) 10+2 from any Stream 3 Yrs. M.Com Graduation from Any Stream 2 Yrs. Ph.D. Post Graduation in Commerce Stream Minimum 3 Yrs. B.A. + LL.B. 10+2 (From Any Stream) 5 Yrs. B.Com + LL.B. 10+2 (From Any Stream) 5 Yrs. LL.B. Graduate in Any Stream 3 Yrs. LL.M. LL.B with minimum 50% marks 1 Yr & 2Yrs. Diploma in Health, Safety & Environment 10+2 with Science/ITI/Ag. 1 Yr. Diploma in Industrial Safety & Disaster Management 10+2 (From Any Stream) 1 Yr. Diploma in Fire and Safety Management 12th pass 1 Yr.
B.Sc. in Fire Tech. & Industrial Safety Management 10+2 (From Any Stream) 3 Yrs. 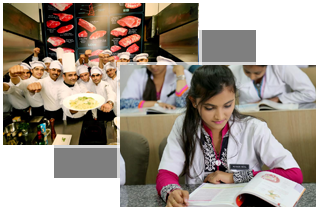 PG Diploma - Health, Safety & Environment B.Sc./BE/B.Tech. (From Any Stream) 1 Yr.
PG Diploma - Fire & Safety Management Graduate in any Stream 1 Yr.
PG Diploma - Industrial Safety Management Graduate in any Stream 1 Yr. Diploma in Yoga 10+2 Pass in any discipline 1 Yr.
Post Graduation Diploma in Yoga Education(P.G.D.Y.E) Graduation in any discipline 1 Yr.
M.Sc. in Yoga Graduation in any discipline 2 Yrs. MA in Yoga Graduation in any discipline 2 Yrs.